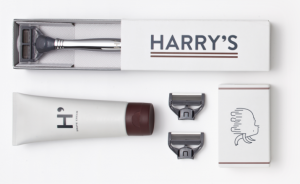 It was harrys.com, a new company selling shaving products, started by one of the guys behind Warby-Parker, the successful startup that offers stylish eye-glasses for a lot less than the Luxotica monopoly. 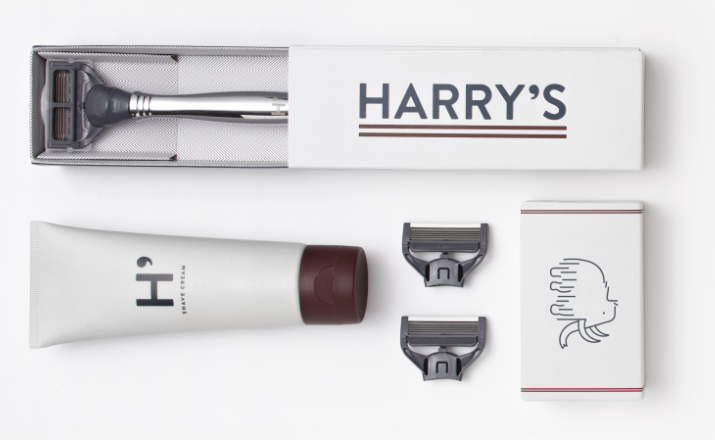 I just recently bought a pair of Warbys, and they’re great, so I was willing to put my move to safety razors aside for a bit and give Harrys.com a try. I ordered the Winston set, which comes with shaving cream, an all-metal handle, 3 blades, and a whimsical instruction booklet. I started out using their cream and tried a shave. Oooh, not so good. So I washed off their cream and switched back to the Aveno gel I normally use. That did the trick: the shave was every bit as good as Gillette’s. A smooth glide across my face, no catching, no nicking. I tried shaving with and against the grain, and I couldn’t tell the difference between it and the Fusion blades. The shave was close, smooth, and discomfort free. They are the real deal. As a bonus, the all-metal Winston handle is a lot nicer than the Fusion handle, which is metal and plastic and tends to get kind of gunky on me. Even living in the shower it stays clean. If you’re like me and paying so much for blades goes against the grain for you, give Harry’s a try! It’s been two months now, and I’m still very happy with Harry’s. I’ve ordered a bunch of replacement blades, and to my surprise they’re lasting a lot longer than I expected. I’m not sure how harrys.com is going to make money ;-). They deliver a great shave at a very economical price. I plan to keep using them! The handle for the razor is holding up well, after many, many months of daily use!